Matta-Clark’s Office Baroque project was carried out in Antwerp in 1977. To mark the fourth centenary of the painter Peter Paul Rubens’ birth, in collaboration with Belgian curator Florent Bex, he executed an intervention on a building in the tourist centre of the city. Although the original intention of the Antwerp project had been to cut through the façade following the projection of a sphere quadrant, the council would not authorise any alteration of the building exterior, so the intervention had to focus on the interior walls and floors. Typically of Matta-Clark, the final result offered no single point of view from which the whole piece could be seen, so it had to be reconstructed with a series of viewpoints. 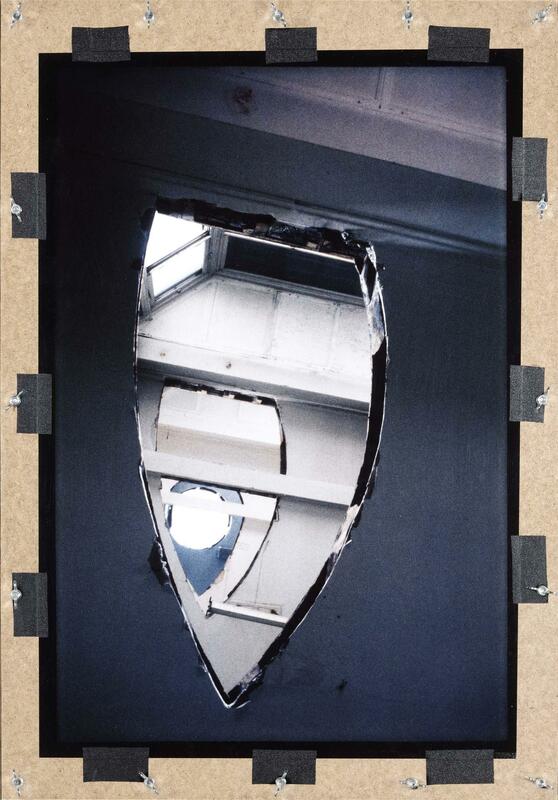 This was achieved through video film and still photography building into a collection that enabled people to appreciate the complexity of the visual and spatial relationships that resulted from the artist’s structural alterations.